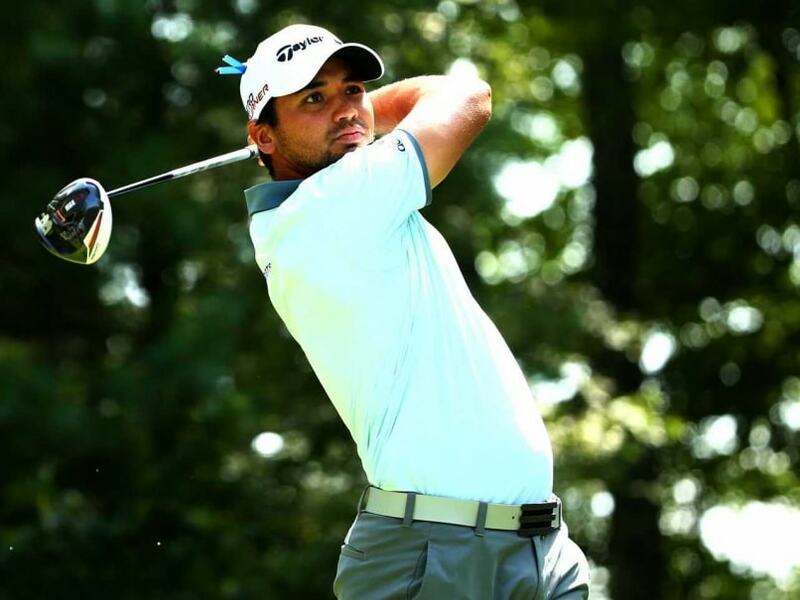 Australia's Jason Day, who followed up his maiden major triumph at the PGA Championship with a victory at the Barclays last week, paced a group of five on 68 that also included Gary Woodland, Ryan Palmer, Sean O'Hair and Daniel Berger. Red-hot Jason Day got his world number one chase at the Deutsche Bank Championship off to a solid start on Friday with a three-under-par 68 that put him three shots off the first-round lead of Brendon de Jonge. Zimbabwe's de Jonge notched seven birdies in his six-under 65 at TPC Boston to take a two-stroke lead over a group of nine players in the second event in the US PGA Tour's FedEx Cup playoffs. England's Luke Donald and Ian Poulter, Australia's Matt Jones, Sweden's Henrik Stenson and Americans Colt Knost, Kevin Chappell, Harris English, Charley Hoffman and Rickie Fowler were all tied on four-under-par 67. Australia's Day, who followed up his maiden major triumph at the PGA Championship with a victory at the Barclays last week, paced a group of five on 68 that also included Gary Woodland, Ryan Palmer, Sean O'Hair and Daniel Berger. Day teed off on 10 and birdied his first three holes to position himself to challenge not only for the trophy but for Rory McIlroy's number one world ranking. "Once again I holed some good-quality putts to keep the momentum rolling my way," said Day, who had five birdies and two bogeys. He began his day by landing his approach shot at the 10th four feet from the pin en route to birdie, rolled in a nine-footer at the par-three 11th and drained a 10-footer on 12. "I didn't drive today as good as I should have, but I hit a lot of greens," said Day, who made nine fairways and 14 greens in regulation and was happy with a 10th straight round in the 60s in winds that became increasingly difficult as the day wore on. "Overall it was a good day to get a 68 in," he said. Northern Ireland's McIlroy carded a one-under 70 while the third man in the world number one mix -- second-ranked Jordan Spieth -- struggled to a four-over-par 75. McIlroy, seeking a strong finish to a season disrupted by a serious ankle injury in July, was irked with himself after finishing with back-to-back bogeys at the eighth and ninth. "Disappointed with the way I finished, but I felt tee to green, the way I drove the ball, hit my irons, for the most part it was very good," McIlroy said. "I felt like I hit a lot of good putts today that didn't go in, and that probably had to do with speed... Obviously not very nice to finish with a three-putt." Masters and US Open champion Spieth had even more to lament after a round that included eight bogeys and four birdies. Spieth hit just 11 greens in regulation and needed 33 putts. The par-four 14th epitomized his troubles as his approach found the front of the green but his putt raced past the hole to the fringe and his chip back came up short. The 22-year-old American, who grabbed the number one ranking for two weeks before handing it back to McIlroy by missing the cut at the Barclays, now has serious ground to make up on Saturday to avoid a second straight early exit.